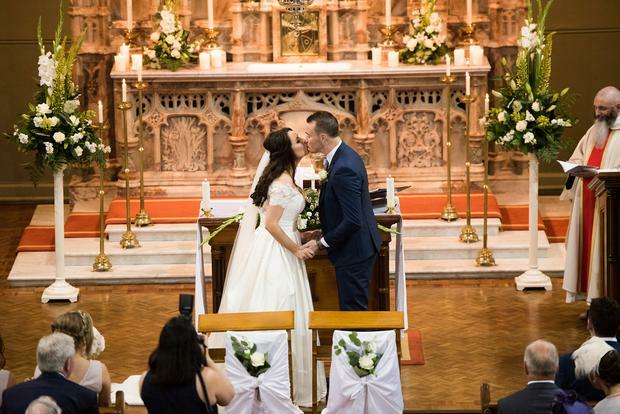 Ruth Colgan from Dublin and PJ Cormican, Kildare met in college in NUIG when they were teenagers. 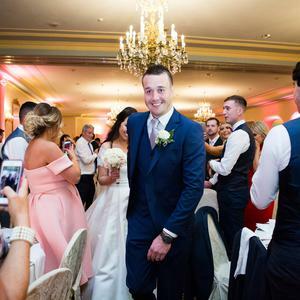 PJ popped the question on Silver Strand Beach in Galway and the couple went about planning a traditional Irish wedding which saw the whole family pitching in with gorgeous DIY projects to make the day even more personal. 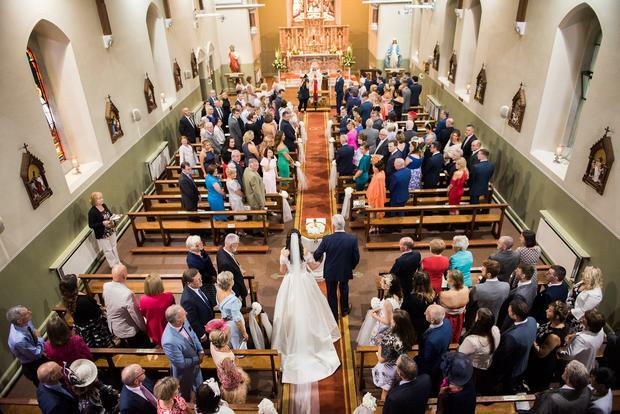 The couple tied the knot in August 2017 at St. Mochta's Church in Porterstown, Dublin in a ceremony presided over by Brother Richard Hendrick. 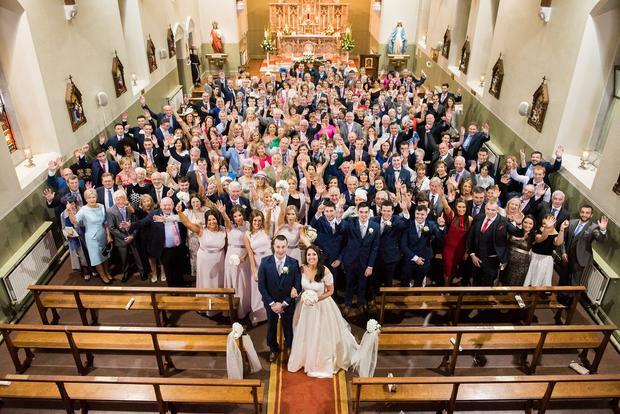 They held their reception later that day in Killashee Hotel, Kildare. 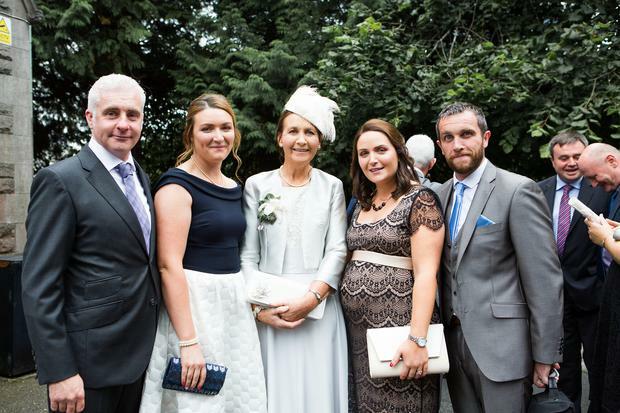 "The planning was both enjoyable and stressful," says Ruth. 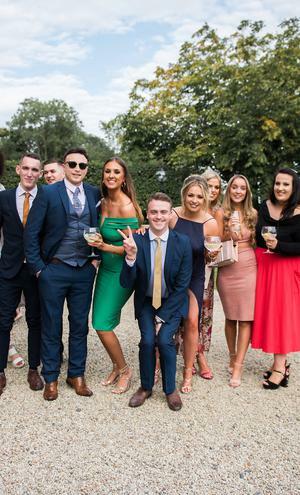 "We had a lot of help from family and friends which was great. 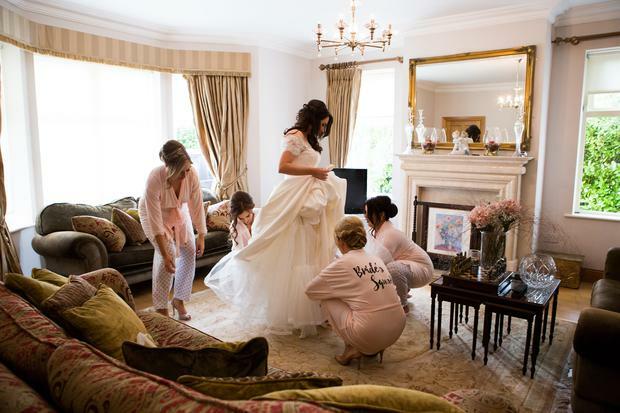 It was great to have them involved in some way... We didn’t have a theme or style really – simple and elegant I guess!" Their wedding photos are by Carol Sweeney Photography. 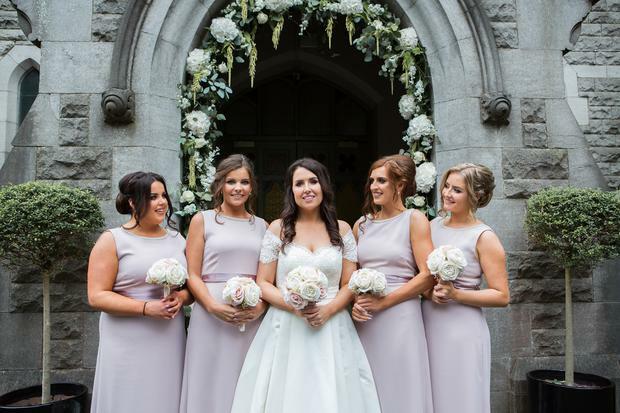 Ruth found her San Patrick wedding dress in Peony Bridal in Hillsborough, Lisburn, while PJ and his groomsmen wore suits from Dermot Halls based in Offaly. 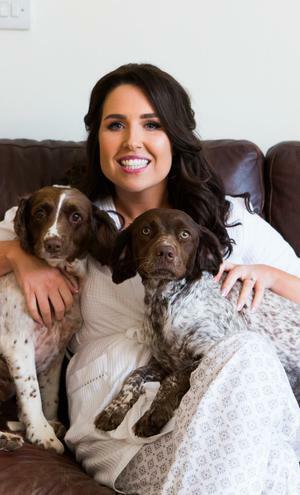 "At first I found wedding dress shopping stressful as I couldn’t find a dress that suited my body shape," says Ruth. 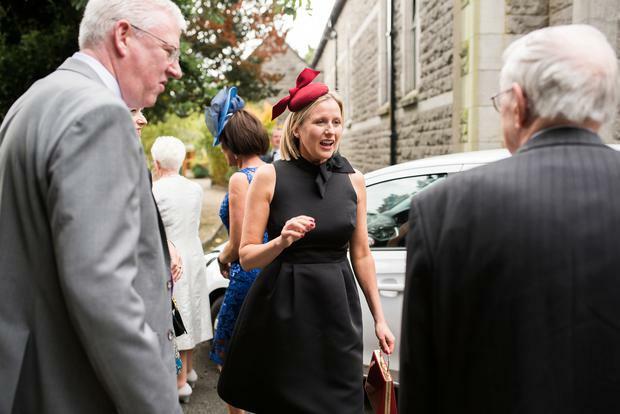 "After a few different shops and many dresses later, I soon realised what shapes to avoid and which ones suited me." 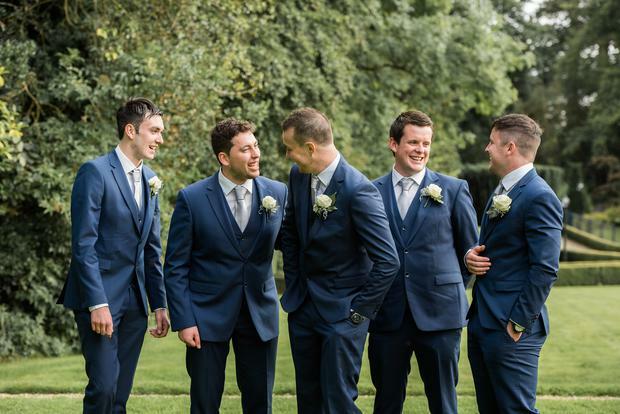 For PJ, there was plenty to choose in the shop in Edenderry, and he found suit shopping very easy. 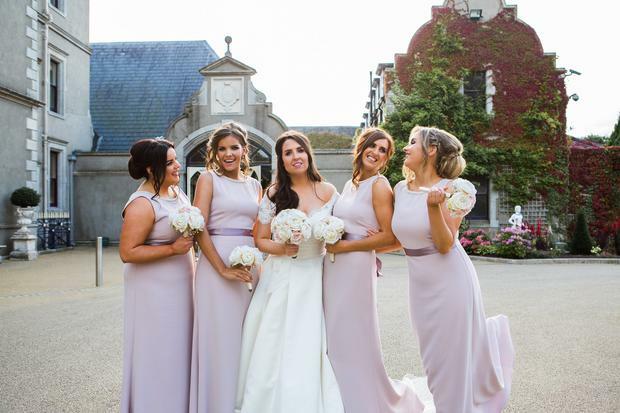 The bridesmaids wore gowns from Vogue Boutique in Newbridge Kildare. 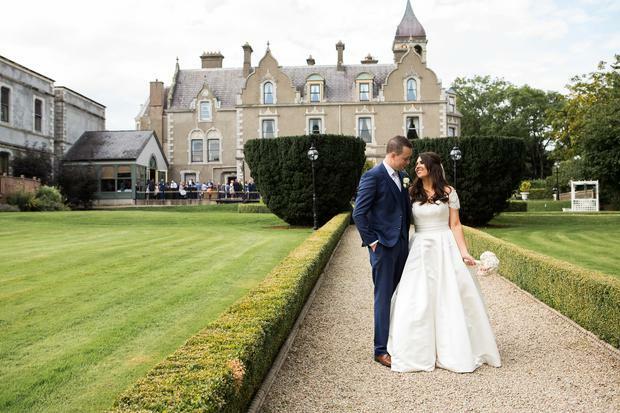 Ruth and PJ chose Killashee Hotel in Kildare for their reception as they had been to the hotel before and found it 'ticked all the boxes'. 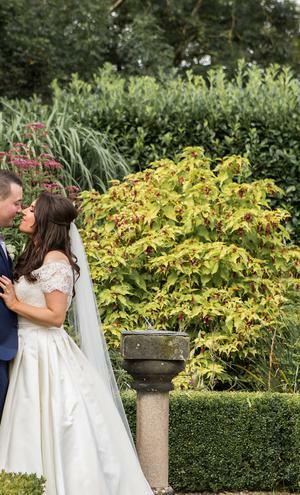 "Killashee Hotel has beautiful grounds too so it meant we could do our wedding photos on the grounds instead of having to leave our guests to go somewhere else," says Ruth. 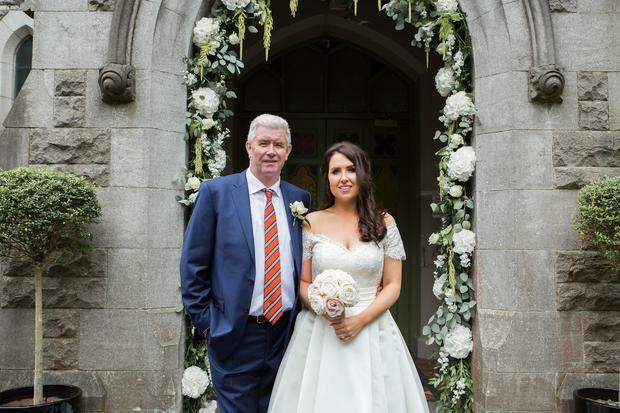 For Ruth, the most special moment of the day was walking up the aisle which, funnily enough, was PJ's favourite moment from the other side! 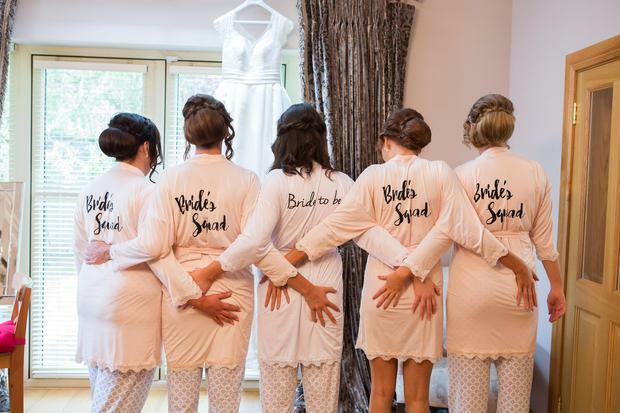 "Try not to stress too much about [the wedding]," Ruth advises brides-to-be, "things just seem to fall into place on the day. I wish I had stressed a little less and trusted that things would just go to plan. "It’s one day that you won’t be doing again - hopefully! - so make sure you do it the way you want, not how others want. 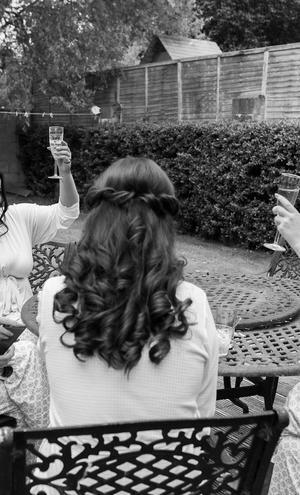 Try to take in the day as much as possible and enjoy it because it absolutely flies, before you know it it’s time for the first dance."